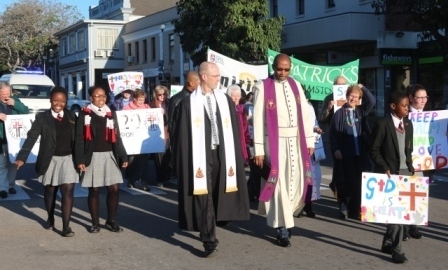 Spiritfest is the Grahamstown Churches’ initiative in the National Arts Festival. 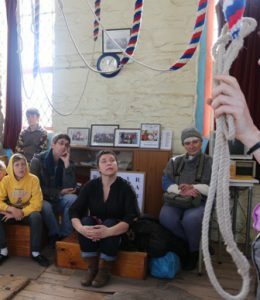 This year the Festival runs from 27 June to 7 July 2019. There is no entrance charge for any Spiritfest events – retiring collection. For photos of previous Spiritfest events, see the Spiritfest Gallery. For videos, see our Videos Page. 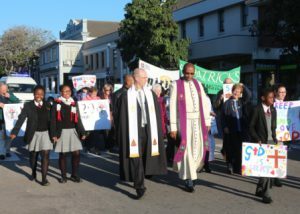 Come and join in a joyful and colourful march of public testimony, ending with an act of worship and song in the Commemoration Methodist Church, led by the Grahamstown Circuit Church Choir conducted by Siyabulela Lali and Reuben Maselwa, and other local choirs. 30 June 09:30 (1h30) The Cathedral. 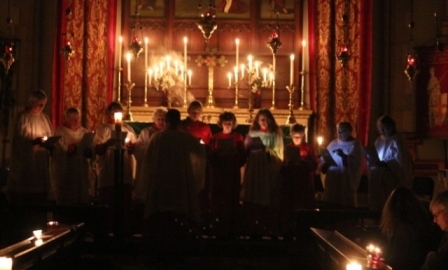 Come and participate in a magnificent Choral Eucharist, with the Cathedral Choir. 7 July 09:30 (1h30) The Cathedral. The Makhanda Kwantu Choir will sing the Missa Brevis by Zoltan Kodaly. 7 July 09:00 (1h30) Commemoration Methodist Church, Church Square. Twee susters voel van God verlate in ‘n noodlydende en gevaarlike wêreld en sukkel om hulle geloof te behou. Aangebied deur die NG Gemeente van Dias. From the beating of the drum to the echoing of the marimba, calling upon nations to unite! 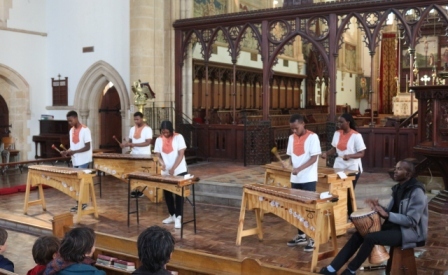 An energy-filled experience with St Michael’s Marimbas at the Cathedral. Do not miss out on this chance to be rejuvenated! 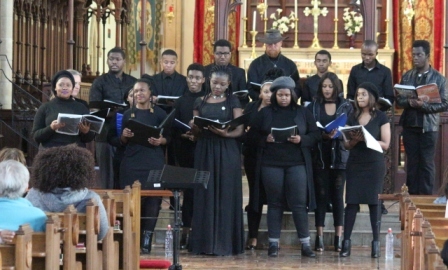 A collaboration between two award-winning South African choirs. 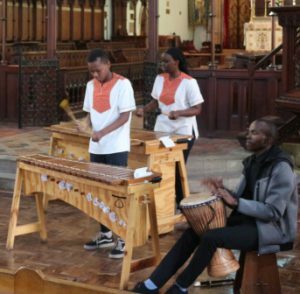 Hear the Quava Vocal Group from Johannesburg, and Makhanda’s own Kwantu Community Choir, sing a selection of the best choral works from Africa and all over the world. Both choirs won Diplomas at the World Choir Games in Pretoria in 2018! 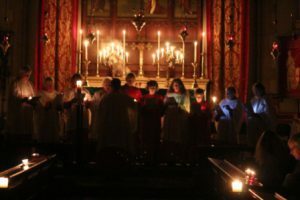 Let your heart be touched and your soul become still in the presence of the Lord, with 40 minutes of contemplative Taizé hymns and excerpts from classical works by the Rocher family – Salomie (organ/ piano), Conrad (violin), Julius (violin) and Cornelia (viola). Enjoy listening to the lovely voices of Sisa Nomana and Sibu Mkhize. The repertoire of Trinity tenors is a combination of classical and popular music, including well-loved religious works such as ‘Rock of Ages’ and ‘How great Thou art’. 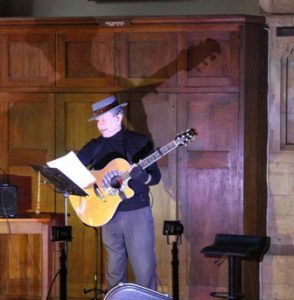 Chris Mann takes on the role of backveld troubadour Fafa Hopkins in a unique programme of original songs about the deep south of South Africa. Good medicine for RAPS (Repetitive AfroPessism Syndrome). Many great composers have based organ works on the melodies of favourite hymns. Come and enjoy a number of such pieces, by Bach and Balbastre, Dyson, Nystedt and Tanke. 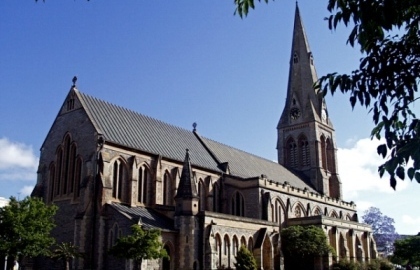 Stephen Holder taught music at Kingswood College and was the Chapel organist until his retirement at the end of 2018. The brilliant virtuosity of the toccata, the expressive lyricism of the adagio, and the formal complexity of the fugue make up a programme of strong contrasts by composers from different times and places. 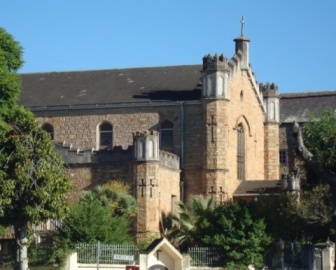 Christopher Cockburn, a member of staff of the Music Department of UKZN, is a former Director of Music at Grahamstown Cathedral. 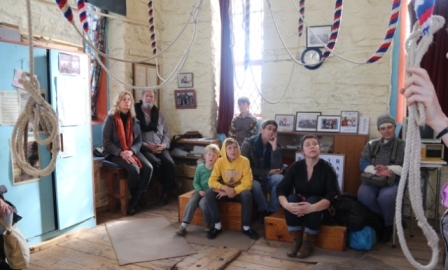 Climb the narrow spiral steps to view the oldest bell tower in South Africa and learn how the enormous bells are rung. 15 people maximum per tour. Reserve your place at the base of the tower. Curated by Jonathan Griffiths and Eben Lochner. 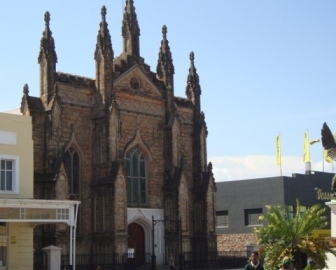 An exhibition of drawings dealing with place, history and spirituality through the lens of two towns that share the same name: Delft in Holland and Delft in Western Cape. Let poet Chris Mann guide you around a selection of the original works from the book. Paintings by Julia Skeen combine with Chris’s poems to form unique works of art. 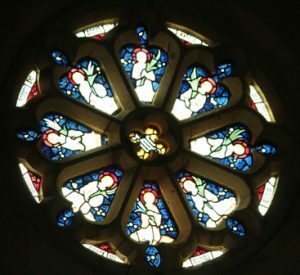 Thurs 4 July: David Manning, stained glass expert, gives an introduction and tour of the chapel windows of historic Grahamstown schools. 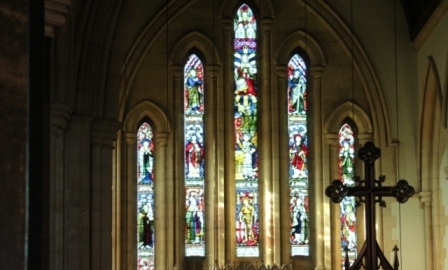 Fri 5 July: ‘Art, reality and theology: the role of the arts in God’s big story’ – Thorsten Marbach, engineer and theologian.